To make a rump, first use the scissors cut all the thorns around. People cut open skulls, scoop the water along with other parts to splash out, only the brick is covered with membranes. Cleansing the membrane with sea water is a delicious bricks exposed. There is a yellow brick, the child is brown brown. Remarkably, if made with fresh water, the bricks will break as if you mixed the spice into the gourd. When eating, you can use a small spoon to cut pieces of meat or eggs, sprinkle a little salt of lemon pepper, put into mouth chewing slowly ... You will certainly impress with its charming charm. 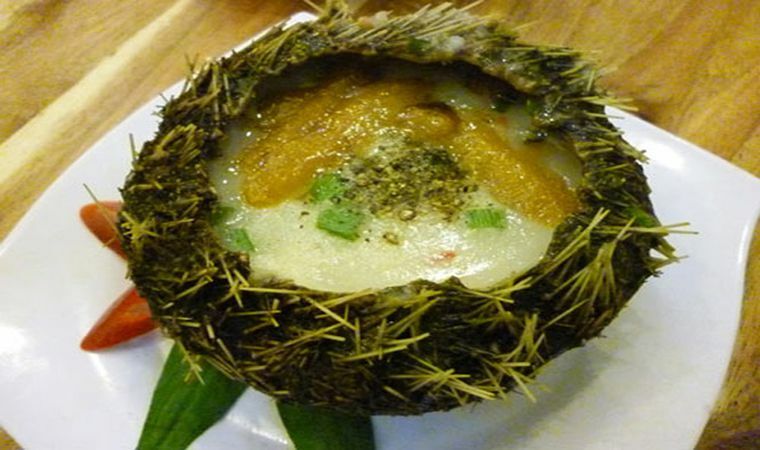 It is a delicious and strange dish, taste is not like any seafood. 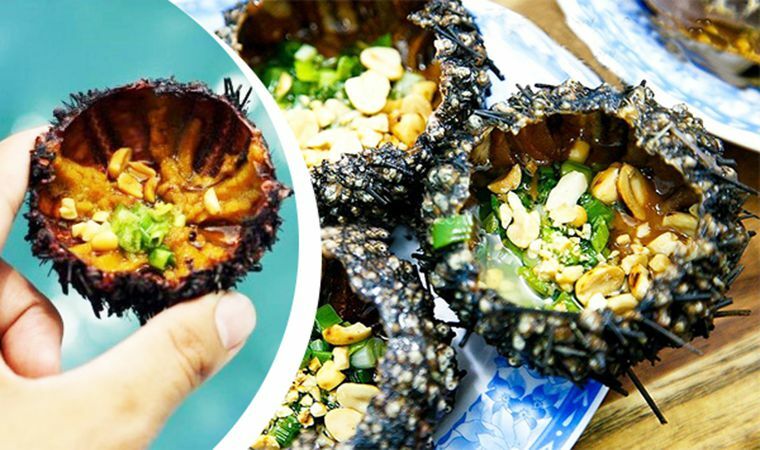 It has both the sweet and the smell of crab bricks, mixed with the warm aroma of the sea to create specialties Phu Quoc specialties. Come to Phu Quoc tourism, try once with the fishermen to catch the rain and learn how to make yourself into delicious dishes full of enchanting. Taste of the sea is sure to be a great reminder for your trip more memorable.